37% of U.S residents live in apartments, a figure that shows the potential to rise, according to the National Multi Housing Council. Apartments are slowly becoming the future of the world, with people below the age of 44 occupying the most units. More and more people actually prefer to live in small houses over big houses for a multitude of reasons. Apartments in big cities are becoming the obvious option for this category. Below are reasons you too should live in an apartment. 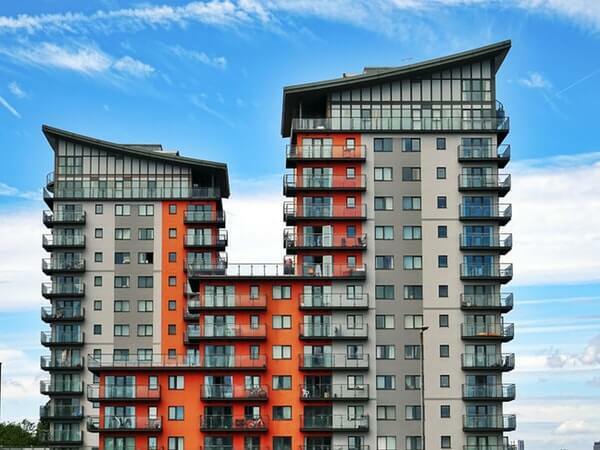 Apartment buildings are set as whole residential property blocks that are equipped with a variety of social amenities, such as fitness studios, spas, pools, and clubhouses that are ideal for social interactions. Apartment buildings that are kid and pet-friendly also enable you to create an ideal home in your apartment. Living in such close quarters with your neighbors also enhances social cohesion and interaction than any other home plan. Homeowners probably have security measures in place in case of burglaries which pale in comparison to the advanced technological security systems installed in apartment blocks. Living in an apartment affords you a good night’s sleep knowing your property is safe, especially because your neighbors are always on the lookout. The life of the party is usually at the heart of the city, where owning a home is almost impossible. Apartments, on the other hand, are affordable enabling you to enjoy all the perks of your dream neighborhood without the stress. There is always something interesting going on right at your doorstep, and with all the money saved by renting instead of paying expensive mortgage rates, you have enough time to really spend it. An apartment that’s located in or near a city also saves you hours in your daily work commute. These hours can be used to make more money, which you can invest and be financially stable to eventually fulfill your dreams. As a millennial or anyone living in this century, you probably move around a lot, either for the holidays, work-related trips or even sabbaticals. Living in an apartment means you don’t have to buy just about everything to fill up the rooms as you have limited space already. You are also less likely to hoard unnecessary items, lest you cramp your space and make your living space dysfunctional. More apartments are being built with sustainability in mind. The chemicals saved from not cleaning or gardening regularly is also a positive contribution to the environment. Living in an apartment is a stage in the life cycle that offers you a load of opportunities. The chance to interact with so many people in a safe and secure environment that saves you enough money to enjoy life is very critical. Living in an apartment is also the perfect opportunity to build your dreams.